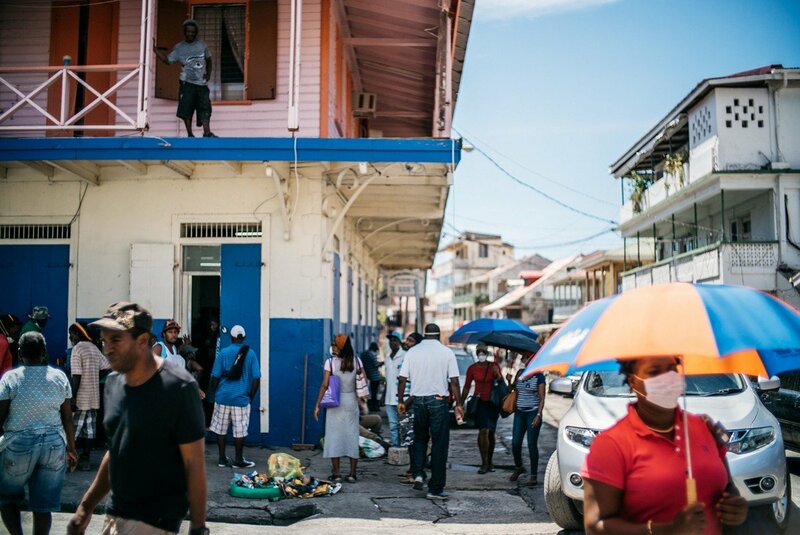 The UN Development Programme (UNDP) announced its support to Caribbean leaders gathered today during the launch of a new public-private coalition to create the world’s first “climate-smart zone” to support the parts of the region decimated by some of the most powerful hurricanes to ever cross the Atlantic in September. Alongside the on-going recovery efforts, the Caribbean Climate-Smart Coalition aims to find a way to break through the systemic obstacles that stop finance flowing to climate- smart investments. With the right domestic and international reforms, the world can step up – and help unleash the means to catalyse an ambitious US $8 billion investment plan to bring greater energy and infrastructure resilience to 3.2 million Caribbean households. This would help Caribbean islands to eliminate their costly dependency on fossil fuels so that they can meet close to 100% percent of their energy needs from renewable sources, and to embed resilience into communities and livelihoods to realise the bold ambitions of all Caribbean people. Caribbean leaders have brought together a Coalition of global organisations such as the Inter-American Development Bank, the World Bank and the Caribbean Development Bank, as well as businesses and supporters from the Caribbean and the international community. The Coalition aims to reinvigorate the islands that have been impacted by recent hurricanes Irma and Maria, and help build more resilient infrastructure and communities across the region as the likelihood of future extreme weather events increases. The announcement comes nearly a month after over 400 high-level representatives from governments, multilateral and civil society organizations and the private sector gathered at UN headquarters on 21 November at the “CARICOM-UN High-level Pledging Conference: Building a more Climate-Resilient Community ” to help countries “build back better” as the first climate-resilient countries in the world. “The next hurricane season is only six months away so achieving climate-smart and resilient development for the Caribbean is critical. Affected individuals are the focus of the $5 billion recovery process, but this effort will only be successful if it involves the private sector, civil society and governments at all levels working together for a more resilient Caribbean. Last month, close to $2.5 billion was pledged at a conference co- organized by CARICOM and UNDP for recovery and resilience in the Caribbean, and it is our objective to facilitate joint efforts with the work of the Caribbean Climate-Smart Coalition.” said Achim Steiner, Administrator of UNDP. Coalition members will help to establish partnerships that can make investment deals happen. They will also bring their collective abilities together to break down the technological and financial barriers that represent the last obstacles to Caribbean people grasping the transformational opportunities that are in reach.